Rinse and repeat. 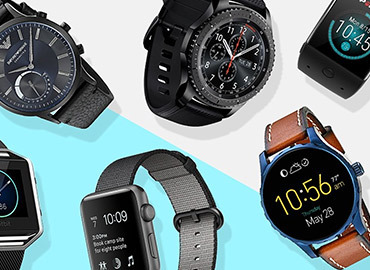 It’s the year of the smartwatch, yet again. Fashion- forward retro-ists will look to Fossil’s new designs. Fitness geeks will go for the Garmin VivoActive. The workmanship and user interface of Huawei’s new smartwatches is unsurpassed, though the US and companies including Best Buy and AT&T are making it difficult for the China-based company to do business here. Apple Watch, still offers the richest app environment and arguably a new chip that will give them the low-power edge. Samsung goes wrist to wrist with Apple, thanks to its custom chip. According to Wareable, 43.6 million smartwatches are estimated to ship in 2018 — 32.8 percent of the overall wearable market — they predict there will be 84.1 million smartwatches shipped in 2022, increasing market share to 38.3 percent.